This new Babymoon Package will inevitably make you feel like living a dream. 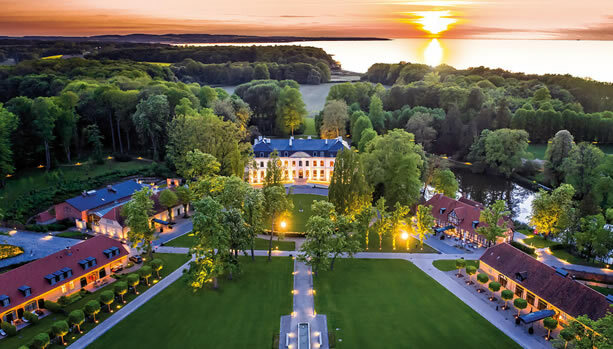 A babymoon by the Baltic Sea at this five-star stunning historic castle estate, WEISSENHAUS Grand Village Resort & Spa am Meer. 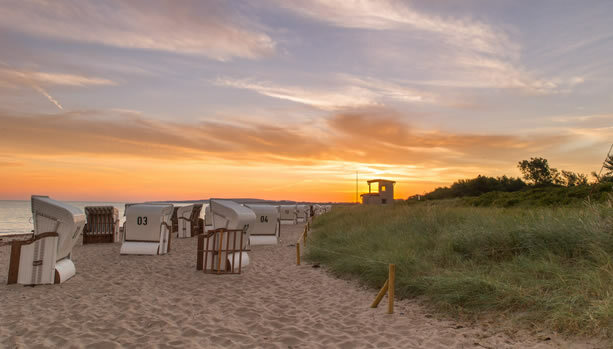 The Baltic Sea is one of Europe’s most beautiful beach resorts. Here you will find pure tranquillity amidst vast landscapes and beautiful nature. Babymoon Package rates: € 369,00 for the stay for 2 people including the above-listed services, excluding accommodations. Bookable additionally to the regular overnight packages. 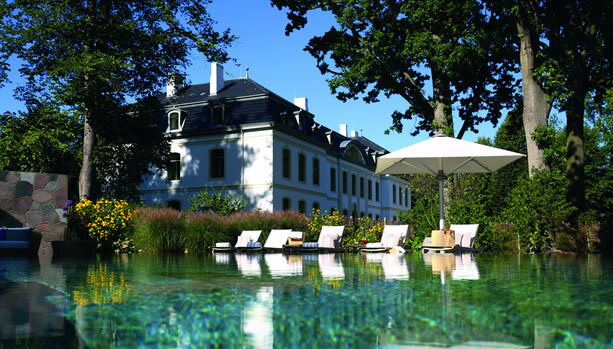 This castle thermal bath presents itself in a spacious 1,500 square meters as a real place of power. Furnished with warm and soft materials, boasting both an indoor and outdoor heated pool inviting you to experience total relaxation. Crackling open fires contribute to the relaxing atmosphere which will give an elevated sense of well-being following your spa treatments in the capable hands of the beauty and wellness experts. The relaxing sauna facilities and the Banja house in the SCHLOSSTHERME are most definitely worth a visit (well, only for dad-to-be). Afterwards, you can refresh yourself in the unique snow cave with real snowflakes. Enjoy the healthy delights served at the VITAL BAR. The crisp salads, warming soups, superfoods and smoothies are not only satisfying but also nourishing, providing the vitamins and nutrients required for health and vitality, especially when pregnant. 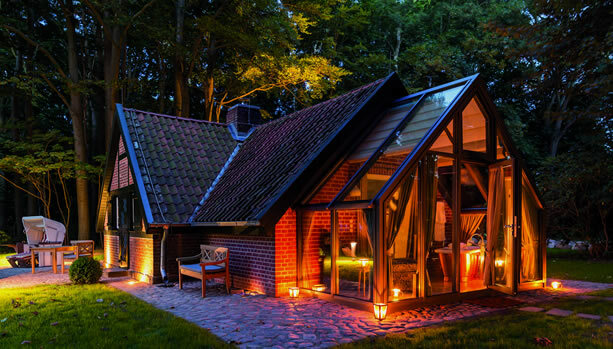 Make your Baltic Sea babymoon even more unforgettable and stay in one of the Bädehauschen. 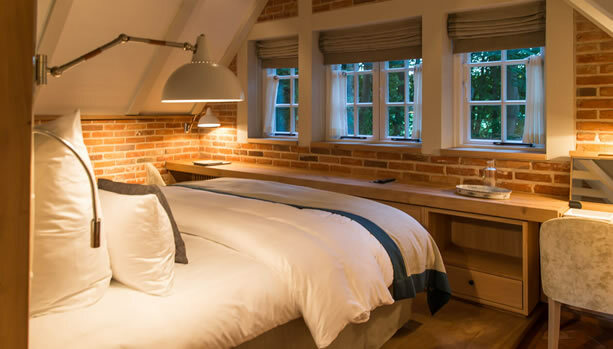 The historic cottage offers unparalleled views towards the Baltic Sea and everything else one can wish from a hidden haven, ready not only for newlyweds but babymooners as well. The grounds include an own garden and private outdoor sauna. The tantalizing interior includes a winter garden with free-standing bathtub and a fireplace in the living area.